Cherbourg-Octeville ([ʃɛʁ.buʁ ɔk.tə.vil]) is a city and former commune situated at the northern end of the Cotentin peninsula in the northwestern French department of Manche. It is a subprefecture of its department, and was officially formed when the commune of Cherbourg absorbed Octeville on 28 February 2000. On 1 January 2016, it was merged into the new commune of Cherbourg-en-Cotentin. The city is a Maritime prefecture and sub-prefecture of la Manche. Due to its union, it is the most populated city in its department with 37,121 inhabitants (over 85,000 with its suburbs) making it the first city of the department before the Saint-Lô prefecture and the second in the region after Caen. Cherbourg-en-Cotentin is located at the northern tip of the Cotentin Peninsula, in the department of Manche, of which it is a subprefecture. At the time of the 1999 census the city of Cherbourg had an area of 6.91 square kilometres (2.668 sq mi), while the city of Octeville had an area of 7.35 km2 (2.838 sq mi). The largest city in the Department of Manche, it is the result of the merger of the communes of Cherbourg and Octeville. The amalgamated city today has an area of 14.26 km2 (5.506 sq mi). Cherbourg is situated at the mouth of the Divette and at the south of the bay between Cap Lévi to the east and Cap de La Hague to the west, Cherbourg-Octeville is 120 km (75 mi) from the English coast. Cherbourg and Octeville-sur-Cherbourg once belonged to the deanery of La Hague, delimited by the Divette. In 1786, a part of Equeurdreville joined Cherbourg, during the construction of the port, and then in 1802, a portion of Octeville. Since 1811, the "mielles" [dunes] of Tourlaville, commune of the deanery of Saire, are integrated into the Cherbourg territory known as the quarter of Val-de-Saire where the Pasteur Hospital and the Saint-Clement Church were built. Thus, Cherbourg-Octeville lies both in La Hague and in the Val de Saire. Like all Chantereyne and the area of the Mielles, the Cherbourg territory was reclaimed from the sea. Built at the level of the sea, the town developed at the foot of the Roule mountain (highest point of the old town) and la Fauconnière. Octeville is a former rural municipality, composed of hamlets, whose settlement extended from the 19th century and whose territory is highly urbanised since 1950, especially around the ZUP of the Provinces and the University campus. Located at the end of the Armorican Massif, Cherbourg-en-Cotentin retains traces of the geologic formation, deformed granites and metamorphic schists of the Precambrian of Hercynian orogeny by the folding of the arkoses of the Cambrian and Armorican sandstone and shale of the Ordovician. These folds result in layers of sandstone tilted 45° towards the north-east on la Fauconniere (including "La Roche qui pend" ['the hanging rock']) and the Montagne du Roule. These two cliffs are due to sea erosion in the Quaternary. The retreat of the sea then gave way to sand dunes and tidal marshes, destroyed by the urbanisation of the 17th and 19th centuries, identical to those of Collignon in Tourlaville. These rocks in the soil have been used for centuries in several ways: Crushed granite extracted in Querqueville and arkoses of Becquet, have been used for the manufacture of rubble (moellon) and blocks squared for lintels. The greenschist, whose colour comes from chlorite and sericite, are used mainly for roofing in Nord-Cotentin, but also masonry in Cherbourg. The Armorican sandstone of the Montagne du Roule is used for rubble and rockfill. Most of the many quarries, which opened in the metropolitan area for building the harbour wall, are now closed. Cherbourg-en-Cotentin is bordered by the sea. The construction of the port of trade, from 1769, accompanied by the diversion of the Divette (the mouth of which was located at the current exit of Port Chantereyne) and the Trottebec (from the territory of Tourlaville) gathered in the canal de retenue, along the Avenue de Paris and Rue du Val-de-Saire. The influence of the Gulf Stream and the mildness of the winter allow the naturalisation of many Mediterranean and exotic plants (mimosas, palms, agaves, etc.) which are present in the public and private gardens of the city, despite average insolation. The climate is similar to areas much further north in Britain and Ireland due to the extreme moderation. Summers are far cooler than expected by French standards. The old Route nationale 801 (reclassified as D901), which connects Cap de la Hague to Barfleur, crosses the city from east to west. It should be mentioned that Brittany Ferries to Poole briefly stopped their conventional ferry service in early 2010 but resumed it in February 2011. The Paris - Cherbourg railway line, operated by Réseau Ferré de France, ends at Cherbourg railway station, which opened in 1858 and welcomes a million passengers every year. This line continued, at the beginning of the 20th century, up to the resort of Urville-Nacqueville and was complemented by the Tue-Vâques which served from Cherbourg to Val de Saire between 1911 and 1950. Today, the Intercités Paris-Caen-Cherbourg line is the most profitable in its class with profit over €10 million per year despite numerous incidents and delays. The Compagnie des transports de Cherbourg (CTC) was created in 1896, connecting the Place de Tourlaville and the Place du Château by a tramway in Cherbourg, then to Urville. After the German occupation and bombardment of the tram depot, the use of buses took over, and it was not until 1962 that the network had several lines. From 1976, the Communauté urbaine de Cherbourg supported the jurisdiction of public transit. Management of the public service is delegated to Keolis, the CTC took the name of Zephir Bus in 1991. The Cherbourg – Maupertus Airport, located in Maupertus-sur-Mer, serves the city. Its 2,440 metres (8,010 ft) runway hosts charter flights. After stopping the daily service to Paris by Twin Jet, in spring 2008, a new link with Caen and Paris started with Chalair on 27 October 2008. In 497, the village was sold with all of Armorica to Clovis. It was evangelised by Saint Éreptiole in 432, then by Saint Exuperat, Saint Leonicien, and finally Saint Scubilion in 555. In 870, Saint Clair, landing in Kent, was ordained priest of Cherbourg and established a hermitage in the surrounding forest. In 1139, during the struggle for succession to the Anglo-Norman Crown, Cherbourg fell after two months of siege to the troops of Stephen of England before being resumed in 1142 by Geoffrey of Anjou, whose wife, Empress Matilda, founded three years later the Abbaye Notre-Dame du Vœu. Cherbourg was not affected by the wind of the Reformation that divided Normandy, consolidated and heavily guarded by Matignon, Henry III thanked his defense against the troops of Montgomery, as lieutenant-general of Normandy and Governor of Cherbourg in 1578, and then marshal the following year. The bourgeois also remained loyal to Henry III and Henry IV, when Normandy was mostly held by the Catholic League. The commercial port dug at the current position of the place Divette between 1739 and 1742, was devastated in August 1758 by an English attack under the orders of General Bligh and Admiral Howe. During the Seven Years' War, the British briefly occupied the town after the Raid on Cherbourg in 1758. The British destroyed military buildings and warehouses before departing. With the development of a new pool of trade in 1769, Cherbourg - a longstanding commercial port of minor importance, a city without a university or cultural activity, regularly looted, and having weak relations with Paris - acquired a weight in the Cotentin which translated, on the eve of the French Revolution, by the creation of networks of sociability by the middle-class united in associations - such as the Cherbourg Royal Academic Society in 1755 and the lodge "Faithful mason". The population increased from 800 feus (4,000 inhabitants) in Cherbourg and 95 in Octeville, around 1715, to 7,300 people in Cherbourg by 1778. Louis XVI decided to relaunch the project of the port on the English Channel. After many hesitations, it was decided in 1779 to build a 4 km (2.5 mi)-long sea wall between île Pelée and the tip of Querqueville, using a method developed by Louis-Alexandre de Cessart, a pier of 90 wooden cones of 20 m (66 ft) by 20, filled with masonried rubble, connected by iron chains. The first cone was immersed on 6 June 1784, and the King attended the launching of the ninth cone on 22 June. But the technique did not withstand storms, and it was abandoned in 1788 in favour of scuttling of old warships and a rockfill to lost stones that had been touted by La Bretonnière. However, the reduction of subsidies and the revolutionary events slowed work down, until its suspension in 1792. Transatlantic transit resumed in the aftermath of the war with the British, American and Dutch transatlantic companies. To welcome the best stopovers, the Chamber of Commerce built a deep water port, a new ferry terminal, and an area dedicated to loading, unloading and storage of goods in the field of Mielles. Cherbourg became the first port of migration in Europe, and Cunard Line, White Star Line and Red Star Line companies united to build the Hôtel Atlantique [Atlantic Hotel] intended to receive emigrants before crossing. At the same time, the downtown was renovated, especially in the architectural projects of René Levesque, Drancey and René Levavasseur. However, the 1929 crisis put an end to the transatlantic peak. The Germans arrived on the outskirts of Cherbourg on 17 June 1940, towards the end of the Battle of France. The 19, the City Council declared the city open, and Generalmajor Erwin Rommel, commander of the 7th Panzer Division, received the surrender of the city from the hands of the maritime prefect, Vice-Admiral Jules Le Bigot, who had earlier destroyed submarines under construction at the arsenal and East Fort. Four years later, Cherbourg, the only deep-water port in the region, was the primary objective of the American troops who had landed at Utah Beach during the Battle of Normandy. The Battle of Cherbourg was required to give the Allies a point of logistic support for human resupply and material of the troops. American troops encircled the city on 21 June 1944. At the end of furious street fighting and bitter resistance from the Fort du Roule, Generalleutnant Karl-Wilhelm von Schlieben, Konteradmiral Walter Hennecke and 37,000 German soldiers surrendered on 26 June to Major General Joseph Lawton Collins, Commanding General (CG) of the U.S. VII Corps. After a month of demining and repairs by American and French engineers, the port, completely razed by the Germans and the bombing, welcomed the first Liberty ships and became, until the victory of 1945, the largest port in the world, with traffic double that of New York. It was also the endpoint of the gasoline which crossed the English Channel via the underwater pipeline PLUTO (Pipe Line Under The Ocean), and the starting point of the Red Ball Express, truck transport circuit to Chartres. The wartime destruction was mainly concentrated around the military port in Cherbourg, but had hit 60% of Octeville. Thanks to the urgency of the port reconstruction, economic activity resumed quickly. Cherbourg, headed by former SFIO Minister René Schmitt, built much social housing. The postwar boom led to the modernisation of the economy and a greater role for female employment. Under the leadership of General de Gaulle, Cherbourg became the hub of nuclear ballistic missile submarine construction from 1964, including the first, Le Redoutable, which was launched in 1967. Félix Amiot's shipyard Constructions Mécaniques de Normandie, specialised in military armaments, became famous during the Christmas of 1969 in an episode of the Cherbourg Project. Incorporated in 1970, the Communauté urbaine de Cherbourg gathered together Cherbourg and Octeville, La Glacerie, Tourlaville, Querqueville and Équeurdreville-Hainneville. The major decisions of the public authorities, on which Cherbourg has depended for many centuries, and the nuclear industry, caused a deep economic crisis in the 1990s. The Arsenal was drastically downsized, the Northern Fleet (FLONOR) moved to Brest in 1992, and the maritime hospital closed. UIE, Burty, CMN, Socoval and Alcatel accumulated social plans or closings. Under the auspices of the urban community, the agglomeration developed its academic offerings with the IUT of Cherbourg-Manche, the School of Engineers of Cherbourg and a branch of the University of Caen, which complemented INTECHMER and the School of Fine Arts. The new millennium began with the creation of a new commune. Cherbourg-Octeville was created on 1 March 2000 through the joining of Cherbourg and Octeville, following a local referendum within "Grand Cherbourg". The city revived its tourist and maritime identity through the Cité de la Mer and the opening to the public of the Redoubtable, and became the home of stopovers for cruises and nautical events. The urban renewal operation "between land and sea", with an emphasis on the commercial and touristic attractiveness of the city and the Bassins Quarter, as well as the economic specialisation in boating, emerged. Meanwhile, the traditional activities of the port (passengers, freight and fishing) were in crisis. Cherbourg originally developed on the left bank of the mouth of the Divette, around the castle. Traces of the ancient fortress are rare in the modern city; the fortification was located in the area bounded by the Rue de la Marine, Quai de Caligny, the Foch, Gambetta, Albert-Mahieu and François-Lavieille streets, and La République and La Trinité squares. The city had five streets: Grande Rue, Rue de la Trinité (today, Tour-Carrée), the Rue du Nouet (to the Blé), the Rue au Fourdray and Rue Onfroy (of trade), and a dozen boëls (alleys). These five medieval streets were transformed into pedestrian streets in the 1980s. Until the destruction of the city walls, the main road called rue de-devant-le-château, was built on its west (east is bordered by ditches) with several houses with arcades, called soliers. After the dismantling of the walls, inside which lived three-fifths of the population, the city extended up to its natural boundaries at the end of the 17th century: the Divette in the east, and Chantereine stream in the west. During the 19th century, it extended to the neighbouring annexed territories of Tourlaville and Équeurdreville. Its rapid growth from the end of the 18th century was spoken of by Jean Fleury, in 1839, in that it "offers almost everywhere the appearance of a new town; the old streets occupy little space, and the others are generally large and airy, the fountains numerous [...]. Cherbourg has 10 squares, 59 streets, 12 cul-de-sacs and 5 passages." Port Chantereyne and the Mielles lands are reclaimed from the sea, the Place Divette and Boulevard Schuman are created at the site of the old fairground. However, at that time, the change mainly affected nearby villages that formed an agglomeration in less than forty years. Octeville, a dispersed habitat until the 18th century, and urbanised during the work of the port around a central street, saw the housing estate of the Provinces settle on the heights of la Fauconniere and triple its population in 20 years. Several estates also emerging at Tourlaville, La Glacerie, Querquerville and Equeurdreville, amending the physiognomy of a suburb which densified. This urbanisation resulted in the dilution of the geographic and sociological boundaries of the agglomeration resulting in the creation in 1970 of the urban community until the merger of Cherbourg and Octeville in 2000. According to estimates from INSEE for 2010, Cherbourg-Octeville has 38,433 inhabitants. The agglomeration was 84,814 inhabitants and the urban area 117,381 inhabitants. 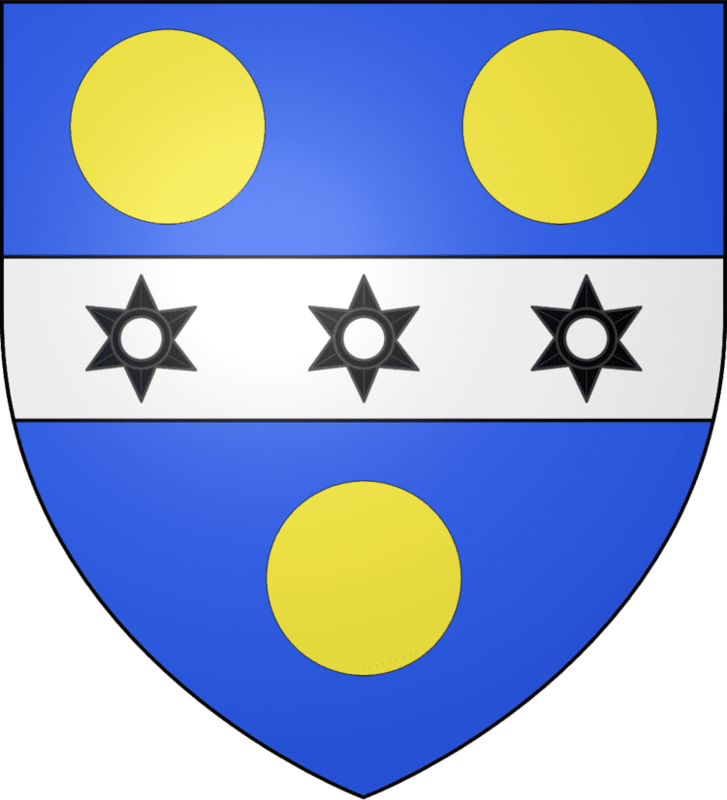 It is the largest city of the Manche department, and second of Lower Normandy (after Caen), surpassing Alençon, which had been second before the amalgamation. Cherbourg concentrated 7.7% of the provincial population, twice as much as the prefecture, Saint-Lô, while the agglomeration represents 17% and the urban area 23.5%. Today, the neighbouring communes of the metropolitan area (Martinvast, Nouainville, Tonneville, Bretteville, etc.) are experiencing a demographic boost: The framework of life, rural and peaceful, in no way prevents the inhabitants from taking advantage of the infrastructure of the urban community. This problem, which is found in many French towns of this size, has led to the constitution of a Pays du Cotentin, the urban community who wish to so participate financially in the rich Community of communes of Les Pieux and the Community of communes of La Hague. The commune shares the housing with the urban community. Several HLM agencies are responsible for social housing of the agglomeration: Presqu’île Habitat (OPHLM, 39.1% of the park with 5,801 housing), Les Cités Cherbourgeoises (SA HLM, 23.1% with 3 424 housing), SA HLM du Cotentin (16%, 2 371 housing), la SEMIAC (10.1%, 1 495 housing) and SA HLM Coutances Granville (4.7%, 206 accommodations). The second half of the 19th century saw the creation of many English-style gardens. The first was due to Joseph Cachin created while he was responsible for the construction of the port, a private garden and a pond near the Divette, instead of the current railway line leading to the station. The temperate oceanic climate favours the naturalisation of southern and exotic plants such as palm trees, brought back by many Cherbourg sailors and explorers. Then, under the Third Republic, public gardens opened. The Public Garden of 1.7 ha (4.2 acres), on the Avenue de Paris, was the first park to be offered to the population, in 1887. At the foot of the Montagne du Roule, it hosts many animals (sea lions, aviaries, deer, etc.). A commemorative site preferred by the municipality, it contains the monument to the dead inaugurated in 1924, the old portal of the Abbey of the Vœu, the bust of Jean-François Millet, and the last town bandstand. Two pavilions of angles constructed in 1889 limit the garden on the Avenue de Paris. The Park of the Château des Ravalet 12 ha (30 acres), a Cherbourg-Octeville property on the territory of Tourlaville, was developed by the vicomte René de Tocqueville from 1872, with an English garden and a woodland. The park and the greenhouse built between 1872 and 1875, which is home to palm, banana, cactus and lianas have been open since the acquisition by the city of Cherbourg in 1935, and are classified as historical monuments since 4 March 1996. Several water bodies welcome Black Swans and the aviaries are home to rare birds. An artificial waterfall was created in 1921. The Vallon sauvage [wild valley] contains hedgerows, wetlands, orchards and woodland in the heart of Octeville, in a natural area of 10 ha (25 acres). In the 18th century, the economic resources came mainly through maritime trade, the preparation of cured meats and the harbour and breakwater works, plus a moribund textile industry. On the eve of the French Revolution, salt was imported from Le Croisic along with British grain, and Littry coal. Exports were mainly to Britain (sheets and cloths) and the West Indies (cattle and mules, fat and salted butter, salted meats, cod, linens and canvas), but also to Le Havre and La Rochelle for wood and coal. Lawful or otherwise exchanges also took place with the Channel Islands (tanbark, grain and wool). Cherbourg shipowners were absent from significant fishing, including that of cod on the banks of Newfoundland, which was a specialty of Granville. 361 workers (1764) and 69 skilled workers (1778) of the factory annually produced (1760) 2,000 fine linens in green and white strip. Cherbourg also had seven producers of starch. Opened in 1793 at the location of the current Lawton-Collins Wharf, the arsenal was moved in 1803 on a decision by Napoleon, within the project of the military port. Sailing ships were built, the first, the brig La Colombe, was launched on 27 September 1797, and then screw-propelled vessels up to the end of the 19th century. From 1898, the Arsenal specialised in the construction of submarines. The first were Le Morse and Le Narval. Since then, more than 91 vessels have been built there. L'Annuaire de la Manche [The Yearbook of Manche] in 1829 mentioned several slate quarries in the agglomeration whose product was sometimes exported to Le Havre, two printers, two soda refineries (properties of Mr. Le Couturier and Messrs. Crenier and Co. producing approximately 600 tonnes for Ostend, Dunkirk, Rouen and Paris, Germany and Russia), a sugar refinery (Mr. Despréaux) whose 50 tonnes were sold in the English Channel, a lace factory run by four nuns on behalf of Messrs. Blod and Lange and several tanners. It is indicated that the port trade was based on exportation of mules to Réunion and the Antilles, salted meat of pigs and eggs in Britain, wine and brandies, and the import of Scandinavian, Polish and Russian wood, linseed, and hemp. But its use as a place of war hampered the development of Cherbourg as major commercial port, compared to Le Havre. Ten years later, for these exchanges, Jean Fleury counted 225 to 230 both French and foreign, from 30 to 800 tons, ships each carrying 6 to 18 crew. He added the maritime buildings and armaments and the export of butter of La Hague, and the total annual trade was estimated at between 4 or 5 million francs, of which one million for the export of eggs to the United Kingdom, and 850 tons of salted meat. Cherbourg is also the cradle of the Halley family and society, which became Promodès in the 1960s (Continent hypermarkets, Champion supermarkets). In 1999, Promodès merged with Carrefour. The old buildings of Halley House became the technical centre of the Cachin vocational school, on Avenue Aristide-Briand. Cherbourg is the seat of the Chamber of Commerce and Industry of Cherbourg-Cotentin particularly manages the airport, the fishing ports of Cherbourg and the trade, and, together with the Chamber of Commerce and Industry of Centre and Sud-Manche, the FIM group training organisation. The Cherbourg economy derives a large part of its activities from its maritime position. Cherbourg indeed has four ports: A military port, a fishing port, a port of commerce (passenger traffic and cross-border goods) and a marina. Property, with the Port of Caen-Ouistreham, of the joint association Ports Norman Associates, involving the Regional Council of Lower Normandy and the Departmental Councils of Manche and Calvados, port trade is managed by a joint company of the Chamber of commerce and Louis Dreyfus Armateurs. The construction of a terminal dedicated to the traffic of coal from South America and destined for the United Kingdom will put an end to the haemorrhage of the activity of the port. While these two military companies have experienced reductions in loads (the number of jobs at the Arsenal increased from 6,000 including 1,000 subcontracted, in 1988, to 2,600 including 500 subcontractors), and the companies have repositioned in the nautical industry. JMV Industries, a subsidiary of CMN with 100 employees, built racing yachts. Originally hosted by CMN to build aluminium hulls designed by James Ébénistes (Saint-Laurent-de-Cuves), Allures Yachting has specialised in cruising sailboats. The Allais shipyard, of Dieppe, has established a subsidiary, ICAN, dedicated to civilian boats and pleasure craft. Economic partners now rely on the "mastery of atmosphere", i.e. the control of contamination from industrial processes, through the Cherbourg-Normandy technopole created in 2001. Having experience of work involving nuclear risk, it wants to transfer these skills to the food, electronics and pharmaceutical industries. Two courses have been designed for this purpose: A BTS in nuclear maintenance at the Lycee Tocqueville and a DESS in mastery of atmosphere at the Cherbourg School of Engineering. Cherbourg-Octeville, the largest city of the department, is the main centre for administration and services for the Cotentin. Health is an important provider of jobs with the Pasteur hospital (470 beds, second of Lower Normandy, merged since 2006 with the Hospital of Valognes) and the Cotentin Polyclinic. The same goes for the education sector with four public and four private schools, a marine high school and aquaculture, a university campus and several graduate schools. The branches of public enterprises are also located there (EDF, with 120 officers and SNCF, with 50 officers). Public employment represents an important part with, in addition to the hospital and schools, municipal and community staff. Cherbourg-Octeville hosts the headquarters of France Bleu Cotentin public radio, and the departmental daily La Presse de la Manche (120 employees with his CES press), successor to the Libération de Cherbourg-Éclair, and subsidiary of the Groupe SIPA - Ouest-France since 1990. France 3 Normandie boasts a local editorial office in the city; Cherbourg's edition of La Manche libre covers the agglomeration, La Hague and the Val de Saire; local television 5050 TV has installed its headquarters and its main studio in the area. In 2010, the commune of Cherbourg-Octeville was awarded a 3-star equivalent "Ville Internet" label and was upgraded to a 4-star equivalent rating in 2012. The city has the central office of two cantons: Canton of Cherbourg-Octeville-1 (to the west) and Cherbourg-Octeville-2 (in the east, which also includes the town of La Glacerie). Departmental advisors are the Socialists Frédéric Bastian, Anna Pic, Karine Duval and Sébastien Fagnen. Since 1986, the fifth constituency of Manche, known as Cherbourg, covered the three cantons of Cherbourg-Octeville, and those of Equeurdreville-Hainneville, Saint-Pierre-Église and Tourlaville. In the context of the legislative redistricting of 2010, the two cantons of Beaumont-Hague and Quettehou integrated the constituency of Cherbourg-Octeville, becoming the 4th constituency. Despite this redistribution often perceived as advantageous for the right, the outgoing Socialist deputy of the 5th constituency, Bernard Cazeneuve, was re-elected in the first round with 55% of the vote. Cherbourg-Octeville also has the headquarters of the maritime prefecture of the English Channel and the North Sea, whose authority extends from the Bay of Mont Saint-Michel to the Belgian border. The maritime prefect is the Vice Admiral of the Squadron, Bruno Nielly. The maritime quarter of Cherbourg (initials: CH) is restricted to the limits of the department. Since 1971, Cherbourg-Octeville has belonged to the Urban community of Cherbourg, presided over by André Rouxel since 2012, Mayor of Tourlaville, to which the municipality delegates urban transport, management of space and the quality of life, the environment and development strategies (higher education, research, major projects, and Cité de la Mer, etc.). Cherbourg is historically, with the Arsenal and the port, the main focus of labour and trades unions of the department of Manche. However, the Cherbourg workers do not lean towards radical or revolutionary movements, nor to yellow unionism, traditionally preferring the reformist tendencies. These choices are reflected politically into a strong center-left anchor, dominated by Socialist-radicals and independent Socialists, before whom the SFIO and the Socialist Party are not imposed. Since the Liberation, with the exception of a Gaullist period of 18 years with Jacques Hébert following René Schmitt's death, the city of Cherbourg has voted in favour Socialist forces. Similarly, the right won the town hall of Octeville in 1989, for a term, by the division of the left. Since the redrawing of the electoral district of Cherbourg in 1986, covering the urban population of the agglomeration and the rural district of the Canton of Saint-Pierre-Église, the left-right alternation is the rule in every legislative election. Elections of 2007 (61.28% participation): 60.77% for Bernard Cazeneuve (PS, elected), 39.23% Jean Lemière (UMP). 2014 election (41.70% participation): 20.59% for Jérôme Lavrilleux (UMP), 20.38% for Gilles Pargneaux (PS-PRG), 19.85% for Marine Le Pen (FN). 1998 election (53.71% participation): Cherbourg 42.06% for Jean-Pierre Godefroy (PS), 18.13% for Pierre Aguiton (UDF), 51.08% participation. Octeville 44.33% for Jean-Pierre Godefroy (PS), 15.50% for Pierre Aguiton (UDF). 2008 election: 66.82% for Bernard Cazeneuve (PS), 19.64% for Jean Lemière (UMP), 13.55% for Hervé Corbin (dissident UMP), 55.48% of participation. Louis XVI removed the viscountcy of Cherbourg by edict in November 1771, and transferred the rights of justice to the Bailiwick of Valognes. In 1785, a sub-delegation was created, however it was smaller than the Viscountcy, essentially covering La Hague, as far as Héauville and included Helleville, Tourlaville, and Bretteville, Digosville and Martinvast, and always under the authority of the electoral district of Valognes. Cherbourg became a town and district in January 1790, seat of a justice of the peace and a civil and criminal court. Under the Directory, they were replaced by a simple police court, attended by a justice of the peace, and a police correctional court. The correctional court closed after the Act of 17 February 1800 and Cherbourg was made a town and township of the Arrondissement of Valognes. After his arrival in the city, Napoleon established a Court of first instance by the Decree of 19 July 1811. The city is today one of the three main judicial hubs of Manche, along with Coutances and Avranches. It hosts a high court (arrondissement of Cherbourg-Octeville), a court (Canton of Beaumont-Hague, Cherbourg-Octeville-Nord-Ouest, Cherbourg-Octeville-Sud-Est, Équeurdreville-Hainneville, Cherbourg-Octeville-Sud-Ouest, Les Pieux, Saint-Pierre-Eglise and Tourlaville), a council of tribunals and a tribunal of commerce. A remand prison is located in the city centre, behind the buildings of the court. As a result of the justice reform presented in 2007 by Rachida Dati, the jurisdiction of the Court of Valognes will be integrated to that of Cherbourg. Two ZEP have been defined, one being on Cherbourg territory in the Quarter of Maupas, the other straddling Cherbourg and Octeville, in the quarter of the Provinces. The former college, which became high school in 1886, is known by the name of Lycée Victor Grignard (830 students: General and TSG, as well as scientific preparatory classes). The aquaculture and marine high school (102 pupils). On 28 June 2013, this became the professional maritime and aquaculture lycée Daniel Rigolet. The Institute of the Film Industry of Normandy is installed as a result of the International School of Audiovisual Creation and Realisation (EICAR) on the site of the former maritime hospital. It is complemented by the training of apprentices of the Performing Arts and Audiovisual Centre, while the School of Fine Arts (Esbaco), founded in 1912 by Henri Buffet design Professor and Professor of modelling Félix Delteil, is located in the former convent of the Little Sisters of the Poor (Bassins zone) since 1976. Cherbourg-Octeville welcomes the School of the Military Applications of Atomic Energy (EAMEA, 351 students) and the National Institute of Science and Nuclear Technology - remains of the importance of the army in the city - while the School of the Quartermasters (between 600 and 700 students) is located at Querqueville. The town also hosts the National Institute of Science and Technology of the Sea (Intechmer), Tourlaville. The first horse race organised in Normandy took place in Cherbourg in September 1836 on the (now gone) beachfront along the boulevard maritime, at the initiative of Éphrem Houël, the officer of the stud. The races settled in 1931 on the Lande Saint-Gabriel Racecourse in Tourlaville, the work of René Levavasseur, and the Hippodrome de La Glacerie from 1990. In football, AS Cherbourg Football, after decades at the national level, is changing, as a result of bad sports results and financial problems, since 2014 in the Ligue de Basse-Normandie de football, equivalent to the 6th division, and is based at the Maurice-Postaire stadium. The club has also two other senior male teams in the League of Lower Normandy. Cherbourg regularly hosts stages of sailing competitions such as the Solitaire du Figaro, the Course de l'Europe, the Challenge Mondial Assistance, the Tour de France à la voile, and the Tall Ships' Race. In ice hockey, NC'HOP (Nord Cotentin Hockey Plus, the Cherbourg Vikings) was based in the city. The team was the successor to CHOC (Cherbourg Hockey Club), who played in FFHG Division 1 until filing for bankruptcy in 1996. NC'HOP left the competition in 2010. AS Cherbourg men's basketball team plays in National 2 and the women's team in the Prenational league. The Jeunesse Sportive de Cherbourg has a male handball team in Pro D2 and a women's team in Nationale 3 (agreement with Tourlaville). The club has also implemented a structured training programme for young people, from the 2009/2010 season, around a partnership with colleges of the city. In 1859, following the Imperial visit, the State decided upon the construction of a Maritime Hospital of a thousand beds to accommodate the troops in garrison. Opened on 15 February 1869, it was renamed René-Le-Bas, named after the first doctor who joined the Free Naval Forces and died in 1942 aboard the submarine Surcouf. It was closed in 2002 and renovated as a University campus. Attached to the Diocese of Coutances-Avranches, until 1 September 2009 the deanery of Cherbourg covered the territory of the urban community and the bordering communes of Tonneville, Urville-Nacqueville, and those of the former Communauté de communes de la Saire, and the Communauté de communes de Douve et Divette. To this date, it is merged to the deanery of La Hague, to become the Deanery of Cherbourg-Hague, therefore adding the parishes covering the Community of communes of La Hague and of Les Pieux. Jean-XXIII parish unites Cherbourg and La Glacerie, with the Cherbourg churches of La Trinité (long only parish church), Notre-Dame-du-Roule, Notre-Dame-du-Vœu, St-Jean-des-Carrières and Saint-Clément. The parish of Saint-Sauveur of Octeville, which also covers Nouainville has three sites in the commune: Saint-Martin, the historic site, Saint-Pierre-Saint-Paul, at Provinces, and the Chapel of Saint-Barthélemy. Édouard Lebas (1897-1975), prefect and French politician. Jean-Baptiste Digard de Lousta (1803-1879), historian and poet. Alexandre Marie du Crest de Villeneuve (1813-1892), Rear Admiral. The work of the seawall and the military port in Cherbourg led many soldiers and engineers, for whom this step was often an important moment in their career. Thus, Charles François Dumouriez (1739-1823), Governor of Cherbourg who was responsible for the first work, at the dawn of the French Revolution, Joseph Cachin (1757-1825), engineer assigned by Napoleon to the general direction of the maritime work of Cherbourg in 1804. For twenty years, he realised the improvement of the commercial port, and the digging of the docks of the military port, constituting the New Arsenal. Henri Rieunier (1833-1918) who was twice major of the Navy in Cherbourg (1872/1875) and Louis-Émile Bertin (1840-1924) who lived in Cherbourg from 1863 to 1879, and is buried in the cemetery of La Glacerie. Charles-Eugène Delaunay (1816-1872), Director of the Paris Observatory, drowned while visiting the harbour. Among the engineers of the Directorate of construction and naval weapons, included Augustin-Louis Cauchy (1789-1857) and also Maxime Laubeuf. Under the Ancien Régime, the safeguarding of the Château de Cherbourg was already the task of illustrious figures of the Kingdom, such as Pierre des Essarts, the family of Matignon and Jacques de Callières (?-1697). At the origin of the military port, Napoleon (1769-1821), who visited the city in 1811, "Revient" in Cherbourg in 1840 during the return of his remains to France, aboard La Belle Poule, before being taken to Les Invalides. The city is the seat of several learned societies, including the National Academic Society of Cherbourg founded in 1755, National Society of Natural Sciences and Mathematics of Cherbourg formed in 1851, and the Artistic and Industrial society of Cherbourg, incorporated in 1871. The creation and dissemination of the performing arts are ensured by the Trident, national stage of Italian theatre, the theatre of Octeville and the Vox. Amateur theatre is celebrated by Les Téméraires. However, the city lacks a large capacity room, the theatre can accommodate only 700 spectators. After the bitter failure of Cherbourg-Land, this problem has not been resolved at the level of the Cotentin. The Great Hall of the Cité de la Mer, with a space for over 6,000 people, has hosted several concerts, but it is primarily dedicated to the organisation of fairs and exhibitions. Today, the main welcoming complex of large-scale concerts is the Jean-Jaurès Centre of Équeurdreville-Hainneville. Octeville has retained its patronal festival, the Sainte-Échelle, with holiday fair and parades. Cherbourg restarted its carnival in the 1980s, heir of the Confrérie des Conards, similar to that of Rouen and Évreux. The former home of Emmanuel Liais, mayor of Cherbourg, astronomer and explorer, houses since 1905 the Museum of Natural History and Ethnography, the oldest museum in Cherbourg (founded in 1832), with curio cabinet, collection of stuffed animals, fossils, minerals and ethnographic objects (Egypt, Asia, Oceania, America and Africa), archaeological treasures and library science. It is also the headquarters of the National Society of Natural Sciences and Mathematics of Cherbourg. The Point du jour, a unique contemporary art centre in France, dedicated to photography, was inaugurated in the Bassin zone in November 2008. The Jacques Prévert Municipal Library, founded in 1831 and opened in 1832, holds the second largest collection in the region, after that of Caen. The purchase of the library of the local scholar Henri-François Duchevreuil, in 1830, complements the 1,855 volumes of the district's library, created at 24 Rue Tour-Carrée, in application of the decree of the Convention of 8 pluviôse year II and composed essentially of works seized from emigrants and deportees. Several donations were then made, including a legacy of 3,000 works by Augustin Asselin in 1844 (with twenty-six incunabula and a 9th-century manuscript De bello iudaico [The Jewish War] of Flavius Josephus, which remains the oldest document in the library) and a gift in 1877 from Jérôme-Frédéric Bignon, Mayor of Le Rozel and heir to the king's librarians. It also has a Norman fonds, an old fonds devoted to botany and another to travel. Housed in a wing of the City Hall in 1855, and then at 9 Rue Thiers (Rue Talluau) from 1896, the library moved into the cultural centre in June 1981, taking the name of Jacques Prévert, who had died four years earlier in La Hague. The library also participates in the Normannia project of the Norman digital library. The Biennial of the 9th Art exhibits the works of comic cartoonists (Enki Bilal in 2002, François Schuiten and Benoît Peeters in 2004, André Juillard in 2006, and Loustal in 2008). In 2002, with the support of the City Hall of Cherbourg, Enki Bilal had planned to create a mural in the old gare maritime to represent the history of migration in the place; This project was rejected on the basis of an official complaint by Bernard Cauvin, president of the CUC and the Cité de la Mer. Cherbourg-Octeville is the seat of two publishing houses, Isoète founded in 1985 and Le Point du jour established in 1996. Festival of cinemas of Ireland and Great Britain, the Cinemovida (festival of the cinema of Spain and Latin America), and Images d'Outre-Rhin (German cinema), as well as Cin'étoiles, screenings of films outdoors in July, animate the local cultural life. In 2003, the EICAR film school was located in the old buildings of the marine hospital. After three years of loss and liabilities estimated at €1.5 million, it was placed into liquidation in September 2006 and replaced the following month, under the leadership of elders of its teachers by the IMC Normandie that itself closed its doors in 2011. Following the opening of the CGR multiplex, the withdrawal of the Soredic, which operated Club 6 (Rue de la Paix) since 1983 and the Odeon (Rue Foch) since 1991, resulted in the closure in 2004 of the first and the revival of the latter city centre cinema, labelled as Art et essai by Fadila Chambelland, the former manager. The cinema had 90,000 admissions in 2006. Rumba (2008) Fiona Gordon, Dominique Abel and Bruno Romy, etc. Alfred Rossel was the leading local figure of the dialect authors of the 19th century. He published his Chansonnettes normandes, among which Sus la mé became an anthem of the Cotentin Peninsula. At that time, Jean Fleury was critical of its approximate spelling and poor mastery of the language. 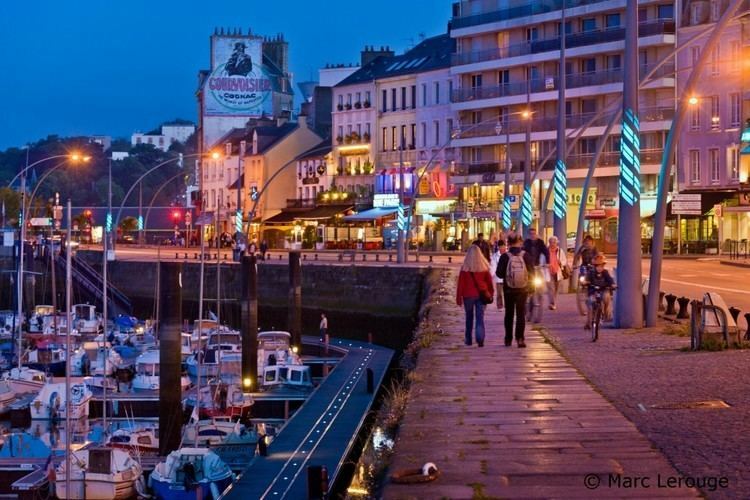 A large fishing port, Cherbourg-Octeville offers a wide variety of fish (yellowtail, bar, plaice, mackerel, rays, red mullet, pollock, lemon sole, small-spotted catshark, etc. ), crustaceans (brown crab, spider crab, lobster) and shellfish (Saint-Jacques, scallops, mussels), caught off the coast of the Cotentin peninsula. The so-called Demoiselles de Cherbourg are small lobsters. Cherbourg is also located near three oyster areas (Blainville, Saint-Vaast and Isigny). The most traditional preparation is the matelote. Alexandre Dumas also presented the recipe of the "queue de merlan à la mode de Cherbourg " [tail of whiting in the Cherbourg manner], with butter and oysters. The agglomeration is located in the AOC areas of the Pont-l'Évêque and of the Camembert of Normandy as well as being partially within the Calvados, Pommeau de Normandie and the cider of Normandy. It also benefits from the IGP of the cider of Normandy, Normandy pork and Normandy poultry. More broadly, the kitchen of Nord-Cotentin is that of Normandy, in which dairy products (butter, cream, milk, cheese, etc.) and apples (as fruit or alcohol) dominate. The Italian Theatre is one of the last Italian theatres built in France (1880). Opened in 1882, it was built on the plans of Charles de Lalande, on the site of the grain market. The façade pays homage to Molière, Boieldieu and Corneille. It has been classified an historical monument since 1984 with its two side returns and corresponding roofing; also classified are the vestibule, the grand staircase, the hall and foyer, as well as the 13 original decorations. The ceiling is the work of Georges Clairin. With three galleries, it accommodates up to 600 spectators. The Hotel Epron de la Horie (named after the Vice Admiral and Marine Minister Jacques Epron de la Horie, owner under the first Empire) or ancient customs is located at the corner of Rue de Val-de-Saire and the wharf of the Old Arsenal. Built in 1781 by Jacques Martin Maurice, "contractor of the King's works" in schist (cover and body of the building) and red brick (window frames), registered as an historical monument since 16 February 1965. Successively barracks of the Swiss, auxiliary Hospital of the work of the harbour, home of shipowners Richer, Cousin, Despréaux and Lias in the 19th century and a customs house during the interwar period, it is now the headquarters of the Groupe Caisse d'Épargne. The former Gare Maritime de Cherbourg is the largest French Art Deco monument. Built by René Levavasseur from 1928 and inaugurated in 1933 by President Lebrun, it could accommodate two ships simultaneously. Listed as an historical monument in 1989 and 2000, it was redeveloped in 2002 to become an oceanographic complex, the Cité de la Mer, where one can visit the SNLE Le Redoutable, and host since December 2006 of a cruise terminal. The hôtel Atlantique [Atlantic Hotel], opposite the maritime station, was also built by René Levavasseur, in iron and cement and in the Art Deco style, for the three transatlantic companies which served Cherbourg, the Cunard Line, the White Star Line and the Red Star Line, grouped into the Société anonyme de l’Hôtel Atlantique. It hosted on 5,400 m2 (58,000 sq ft) the emigrants (third class passengers), mainly from Eastern Europe, who stayed there for an average of 12 days to undergo sanitary and customs controls. The building thus included a section for infected and a section for disinfected with a capacity of 2,000 people. Begun in 1920, opened in 1926, it closed eight years later. Requisitioned under the Occupation and Liberation, it was bought by Félix Amiot to accommodate some of its shipyard employees. 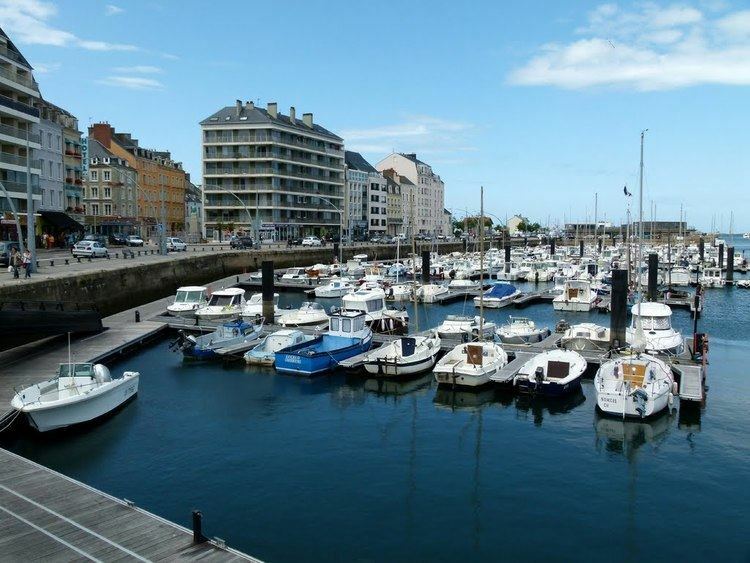 It has hosted the services of the Chamber of commerce and industry of Cherbourg-Cotentin since 1991. The central pavilion is included in the inventory of historic monuments since October 2001. Statues of Themis and Minerva, Roman goddesses of justice and war respectively, of Houdon and Roland and which were stored in the courtyard of the Palais Bourbon during their replacement on the frontispiece of the Chamber of Deputies by casts during the renovation of the façade, were available to the city in June 1989, through Olivier Stirn, Minister of Tourism, and President of the Communauté urbaine de Cherbourg [Urban community of Cherbourg]. After restoration by Pierre Bataille, they were each placed in 1990 and 1993 on a roundabout, the Minerva of Philippe-Laurent Roland, near the Cité de la Mer, the Themis of Jean-Antoine Houdon at the foot of the Montagne du Roule. Carved around 1810, they have been classified as historic monuments since June 1990. The town hall was built at the beginning of the 19th century; It was enlarged twice, first in 1850 by a south-west wing forming an L-shape with the first building, and then under the Second Empire (salon of the Empress), and reworked after the Liberation. Inside, a staircase serves the Grand Lounge and the lounge of the Empress, which houses portraits of Napoleon III and Eugénie by Winterhalter, with - between the two – a rotunda room for the paintings of Michel-Adrien Servant recalling the major events in the history of the city. Since 1858, the Council Chamber contains the 16th century chimney of the abbot's house of the Abbey of Notre-Dame-du-Vœu, purchased by the municipality in 1841 and classified as an historical monument since 1905. The three lounges and the stairs have been registered since 13 August 2004. The maritime hospital, a former regional hospital of the armies of René-Le-Bas, built by a decision of Napoleon III and opened 15 February 1869, it was decommissioned in 2000 and rehabilitated as an academic and cultural centre in 2002. The Napoleon III style buildings are surrounded by a large park. The docks and Port Chantereyne are regularly brought to life by various events: Stopovers of prestigious liners (Queen Elizabeth 2, Queen Mary 2, etc. ), armada, sailing races and such. The docks were constructed in 1994 with the lighting by Yann Kersalé. The marina, first French port of call, extends beyond the Plage Verte, old beach redeveloped into lawn after the creation of the port. Recreational and leisure facilities are located here (pool, skating rink, bowling, services for boaters, etc.). In the commercial wet dock is the Jacques-Louise, the last wooden trawler built in the shipyards of Cherbourg Bellot in 1959, the former Cherbourg Blue Riband, decommissioned in 1991, registered in 1996, then classified as an historic monument in 1999. A trawler in oak wood of the Orne, designed for lateral fishing off the coast, it has been open to the public since summer 2004. The Equestrian Statue of Napoleon I faces the basilica, on the Place Napoléon. The work of Armand Le Véel, it represents the Emperor contemplating the harbour and the military port. On the base, reads an excerpt from the Memorial of Sainte-Hélène, dated 15 July 1816: I had resolved to renew to Cherbourg the wonders of Egypt, i.e. a pyramid with central fort and a new Lake Moeris, for the outer harbour, dug into the rock. The statue, erected in 1858 on the occasion of the visit of Napoleon III, recalls the importance of the Emperor in the expansion of Cherbourg. Around this emblematic monument of the city, registered in August 2006 and classified as an historic monument on 31 January 2008, extends the Plage verte, the old artificial beach until the postwar period, which runs along the marina. The bust of Colonel Bricqueville, on the Quai de Caligny, was inaugurated on 12 May 1850, in homage to the Colonel of the Imperial Dragons and Bonapartist deputy of Cherbourg who died in 1844. This 1.45 m (4.8 ft) bust of Hermes is a bronze of David d'Angers on a 4 ft (1.2 m) column of granite of the architect Lemelle, on which one can read the name of four battles where Bricqueville is illustrated: Wagram, Krasnoi, Antwerp and Versailles. Two bronze reliefs evoke the military (a sword) and parliamentary (a forum), were melted by the Germans in 1944. The monument has been listed as an historical monument since August 2006. The statue of Jean-François Millet, inaugurated in the public garden on 22 September 1892, for the centenary of the First Republic, honours the "painter of peasants", student at the Museum of Cherbourg. Funded by a subscription launched by the municipality in 1886 and taken over by Parisian circles, the realisation of the marble bust (1.05 m (3.4 ft) high) was entrusted to Henri Chapu; after his death, it was completed by his pupil Jean-Ernest Bouteiller who had assisted him in the allegorical group in bronze (2.95 m (9.7 ft) high) of a peasant woman with her daughter in arms and laying flowers of the fields on the bust, supported on a pedestal and granite rocks (4.45 m (14.6 ft) high, 2.55 m (8.4 ft) wide, 2.6 m (8.5 ft) of depth). The monument is inscribed since August 2006. Fort du Roule (Museum of the War and Liberation) is located on the Montagne du Roule. The location in 1650 of the Chapel of Notre-Dame-de-Protection, abandoned during the Revolution, razed in 1870, this highest point of the city [117 m (384 ft)] welcomed a redoubt to protect the harbour in 1793. In 1853, the present fort was built. The place of the last fighting in 1940, it was reinforced by the Germans in 1943 with a battery located on the hillside overlooking the harbour, below the fort. Composed of four casemates for 105 mm (4.1 in) guns and a position for the direction of firing, with several underground tunnels and access dug into the rock, for the Germans it became the strong point of the fortresse de Cherbourg and of the Atlantic Wall. On 6 June 1954, René Coty inaugurated the first French Museum of Liberation there. At the end of a winding road named chemin des Résistants [Path of Resistants], the fort offers a panoramic view of the city and the harbour. The battery and a part of the German ammunition storage tunnels were classified as an historic monument in 1995, and another part is converted into an underground laboratory for measurement of radioactivity for the school of military application of atomic energy. The Abbey of Notre-Dame-du-Vœu was founded in 1145, on the coast of Équeurdreville, at the Croûte du Homet, by Empress Matilda. Located outside the city walls, it was regularly looted and burned during the incessant Anglo-French battles, then during the Wars of Religion. Subject to the regime of a commendatory abbot in 1583, it declined until its closure in 1774. Its lands were annexed in 1778 for the construction of the military port, and it became the residence of the Duke of Harcourt, who sheltered the King in 1786. The place was then transformed into a hospital, into a prison, and into the Martin des Pallières Barracks for the marine infantry. The company town of Chantereyne was built in 1928, until its destruction in June 1944. Bought by the Town Hall in 1961, the Abbey has been slowly restored since 1965. The smokestack of the Abbey House (16th century) is kept in the council room of the city hall, the west portal of the Church (13th century) is placed in the public garden. The remains of Martin des Pallières barracks were classified in 1913, then all of the buildings, remains and soil of the abbey, in September 2002. The grave slab of Guillaume de Margerai, priest of Querqueville, who died in the 1280s, uncovered, has been classified as an historic monument since 1995. The Basilica of Sainte-Trinité, begun in the 11th century at the request of William the Conqueror, remained the only parish church of the city until the 19th century. The stately church dedicated to Our Lady in the castle was destroyed along with the fortress, in the 17th century. The Trinité was enlarged and transformed significantly in the 13th century, the nave was rebuilt, the choir and the bell tower is recorded from after 1450. After a rampage by January 1794, it had added a new square bell tower 26 m (85 ft) in 1828 and restored in neo-flamboyant style in 1865. Registered as an historical monument since March 1944, Trinité has a rich religious furniture, including a high altar of 1809, a wood pulpit carved by Pierre Fréret (1767), a retable of Armand Fréret (1814) and the great organs by Cavaillé-Coll. The church of Notre-Dame-du-Vœu, begun in 1850 on subscription of the parishioners and in the Romanesque style due to the scarcity of resources, was erected on a pasture, known as les briques, offered by Mr. de Virandeville. In 1855, the municipality completes the nave inaugurated in 1852 by a transept and a more ornate choir, and in 1862 the façade and two bell towers. A work of 61.5 m (202 ft) in length, the church houses a large organ by Duputel (1885), classified as an historic monument since 1990 and the stained glass windows of 1834, 1858–60 and 1949-58. The Church of Saint-Martin of Octeville, dating from the 12th century, is the historic parish church of Octeville which depended on the Abbey of Notre-Dame-du-Vœu. Romanesque, it has an octagonal saddleback steeple. The nave was remodelled in the 18th century. A relief depicting the Last Supper has been classified as an historic monument since 1908. Yet Cherbourg remained a base of the first order of the National Navy, as the seat of the Maritime Prefecture of Manche and the North Sea and of the Maritime Gendarmerie grouping of Manche. The naval base is the homeport of five patrol vessels of the Navy and the coastguard, group of the clearance divers sleeve and its building-base the Vulcain, the tug Abeille Liberté and various support vessels. It is also the headquarters of the Operational Training of Surveillance and Territorial Information of Cherbourg (Cherbourg FOSIT) which brings together thirteen semaphores and the lookout of the maritime district. In addition, a flotilla 35 F Dauphin helicopter is based at Cherbourg – Maupertus Airport. The operation of the military port is borne by the directions of the Commissioner of the Navy, maritime works and information systems of the Navy, as well as the branch of the support service of the fleet and the military workshop of the Cherbourg fleet. Cherbourg is also a training hub of the armed forces through the School of Military Applications of Atomic Energy (EAMEA), in charge of the joint education of military specialists in material sciences, of techniques and of nuclear safety and the École des fourriers de Querqueville, devoted to education of the officers of the three armed forces in business administration, management, human resources and the restoration to the training of specialists of the restoration of the national gendarmerie and the homes of the Navy staff. Proposals for reform on the organization and the distribution of the French Army, presented in the spring of 2008 in the White Paper on Defence and National Security planned in the context of the French General Review of Public Policies raise the concern of civilian personnel of the defence of the city, including the construction of submarines. According to projects, Cherbourg-Octeville would become one of 90 defence bases around 2010. In a pooling of means and the establishment of support for the armed forces, the city would retain military and civilian activities, and would host new regiments for the army and of the air force to constitute one of the largest bases of defence. However, the Navy in Cherbourg-Octeville would lose 220 jobs, including civilians, through including the division of half of the staff of the Directorate of maritime works, the abolition of 30 posts including 5 civilians in the École des fourriers and the Atomic school, the loss of 27 posts including 14 civilians in the direction of information systems, and the disarmament of the Vulcain, Acharné, Coralline and Élan. National orders for DCNS could be spread over several years, also reducing human needs there, especially among the subcontractors.